Wride has been involved with the Auburn Baseball Club since 1964 in various capacities. 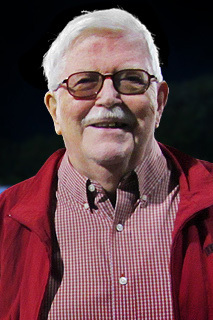 Over the years he has served as Director (1964‐1974), Vice President (1975‐1995), Public Address Announcer (1995‐2005), and Administrative Assistant (2005‐2010). In addition, he has served as Auburn Baseball Historian since 1990 and as the New York‐Penn League Historian since 1998. In this role he assists in revising New York‐Penn League statistics for the annual media guide and compiles the master list of former players to appear in Major League Baseball (currently over 2,800 names). His research has also been invaluable in helping to "fill in the blanks" for many records, statistics, rosters, and players in league history.